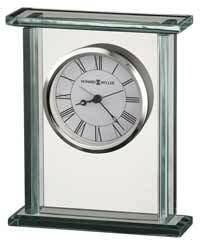 The aged dial of this smaller profile tambour style mantel clock features Roman numerals and spade hands beneath a convex glass crystal. Felt bottom protects your desk or tabletop. 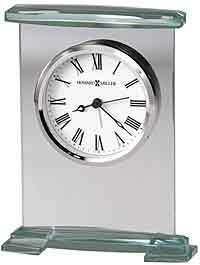 Quartz, time only, Non-Chiming battery operated movement uses 1 AA battery. Distressed, antiqued finish in a Dark Hampton Cherry on select hardwoods and veneers made to look like an older clock. Size: H 8.25". 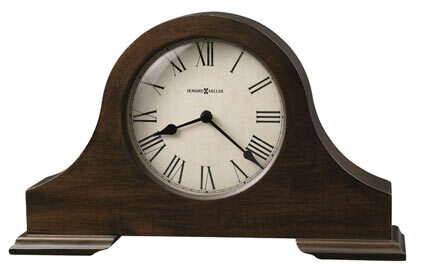 W 13.75" D. 3"
Clocks for sale at The Clock Depot including the 635-143 at discount prices.